What’s different aboutMyers-Briggs Type Indicator Step II? MBTI Step II (Myers-Briggs Type Indicator®) builds on and goes beyond the popular Myers Briggs Type Indicator Step I framework to uncover the unique individual behind each personality profile (most people that complete Myers Briggs often think that the 4 letter combination provided at Step I IS all Myers Briggs has on offer and whilst it’s an amazing tool, people often don’t realise that there is another level – Step II). Myers Briggs Step II acts as a catalyst for further enhancing personal and business results by providing focused insight to support detailed development. Many Individuals and organisations look to Step II to provide that additional level of detail, the nuances of personality within type preferences. This depth of insight helps people understand how 2 people can have the same Type (e.g. ESTJ) yet appear, sound or feel very different. Step II highlights how you are different to people of the same type and provides some additional insight into the similarities you may be able to recognised in people who at first sight, might appear to be a different Type – Myers Briggs Step II really will take your understanding of Myers Briggs to the next level. If you are someone that has worked with your Myers Briggs Type for a while and want to extract even more benefit and value from Myers Briggs, Step II is for you. If you are a practitioner of Myers Briggs Step I I would also recommend completing your Step II Myers Briggs Questionnaire to deepen your knowledge around Psychological Type. Step II takes the 4 Dimensions of Step I and drills down to a further 5 personality facets for each of the 4 Step I dimensions – giving 20 facets overall. Why might I benefit from Understanding my MBTI Step II? You are ready for the next step – having understood your 4 letter type? You notice differences between yourself and others who have the same 4 letter type as you and would like to understand more? 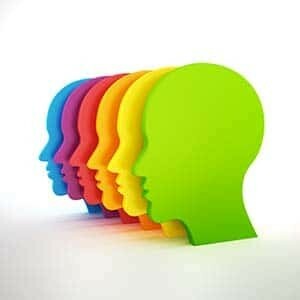 You want to enhance your practice if you’re already MBTI Step I Practitioner? You want to dramatically raise your or your team’s performance with the powerful development planning that Step II provides, and enjoy the positive impact on business results it delivers? What does MBTI Step II tell me? MBTI Step II is really useful for exploring subtleties in the expression of MBTI Step I type for different people, to explore the five behavioural facets of each of the four Step I dichotomies, Pinpoints the uniqueness within each profile, and Provides development actions across a range of important individual issues. You will be asked to complete an Myers Briggs questionnaire online. Then you will have a 90 – 120 minutes one-to-one session with a fully qualified Myers Briggs Step II Practitioner. The session will start with the robust feedback process set out by the OPP (the professional Myers Briggs body in the UK), and will be tailored to suit you; focusing on helping you to gain an in-depth view of your personality preferences and looking at areas for further personal development. Your Practitioner may also refer to you further Internet based resources for further exploration. You will receive a 17 page narrative and graphical report for you to keep which is yours to keep. Ready to take your personal development to the next level? Ready to take time out for you? For your development? Ready to join the exclusive group of individuals that understand their personality to a deeper level?